A faceted black heart "gem" is the focal point of these cat whiskers. 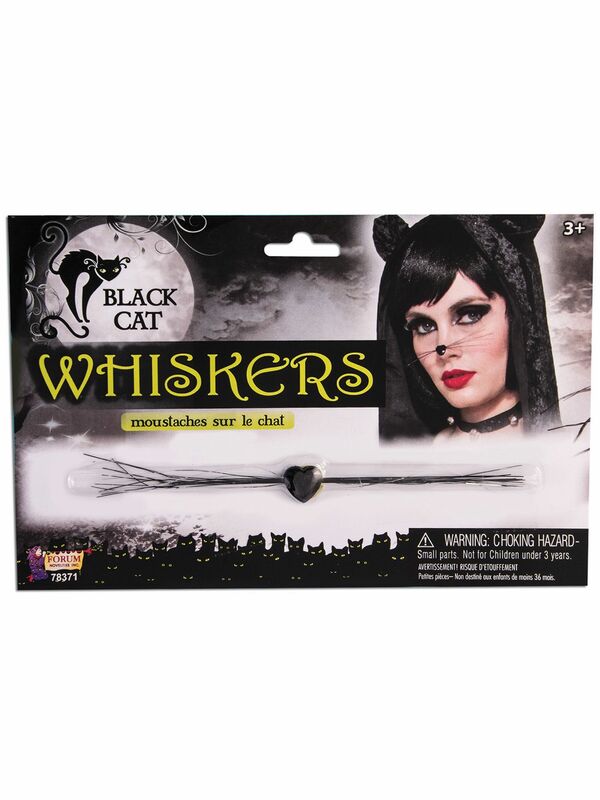 Simply apply them to your nose and your authentic feline face will take shape. No more drawing on your face trying to get everything aligned. And, no scrubbing later to take it all off later. This easier method makes getting dressed for Halloween or a costume party a breeze. Wear with other cat outfits and accessories found at BuyCostumes.com.